1942 – USS Enterprise and Yorktown make first WW II air strike, Japanese Marshall Islands. 1955 – Operation Deep Freeze, a research task force, established in Antarctic. 1959 – Keel laying of USS Enterprise, first nuclear powered aircraft carrier, Newport News, VA.
1965 – In response to a Viet Cong attack on barracks area at Pleiku, South Vietnam, aircraft from carriers, USS Coral Sea, USS Hancock, and USS Ranger attack North Vietnamese area near Donghoi. 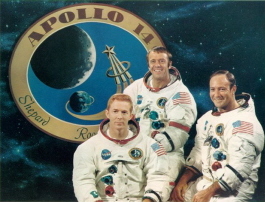 1971 – Moonwalk by CAPT Alan B. Shepherd, Jr. USN, Commander of Apollo 14 and CDR Edgar D. Mitchell, USN Lunar Module Pilot. During the 9 day mission, 94 lbs of lunar material was collected and Shepard became the first person to hit a golf ball on the moon. Recovery was by helicopter from USS New Orleans (LPH-11). 1813 – Essex becomes first U.S. warship to round Cape Horn and enter the Pacific Ocean. 1945 – First naval units enter Manila Bay since 1942. 1944 – Carrier aircraft strike Japanese fleet at Truk, sinking ships and destroying aircraft. 1962 – LCOL John Glenn,USMC becomes first American to orbit Earth. His flight in Friendship 7 (Mercury 6) consisted of 3 orbits in 88 minutes at a velocity of 17,544 mph with the highest altitude of 162.2 statute miles. 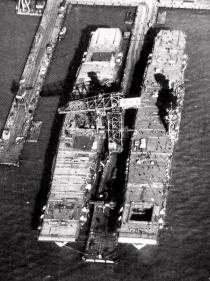 Recovery was by USS Noa (DD-841). 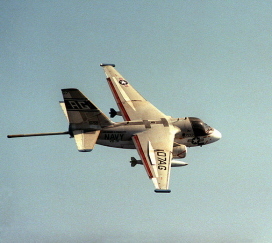 1974 – S-3A Viking ASW aircraft (carrier jet) introduced officially, given to VS-41. 1974 – LTJG Barbara Ann Allen becomes first Navy designated female aviator. 1913 – Approval of experimental wind tunnel for Navy. 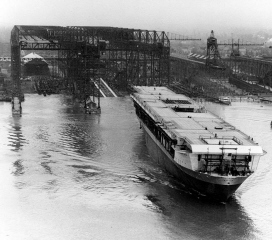 1933 – Commissioning of USS Ranger, first true aircraft carrier. 1944 – Carrier groups under Spruance attack Saipan, Tinian and Rota in the Marianas. Commander – Alan B. Shepard, Jr.